Monday is upon us again, and this week we're really gearing up for a lot of activity to come. As usual, I'm joining up with Molly at The Move to America to reflect on last week and prepare for this week. Last week I wanted to get more cooking done, and I've been doing pretty well working through the Dutch food series to come. I'm really excited about sharing it - just a few more recipes to try and posts to write up, and I'll be ready to go for the end of the month. We do a lot of cooking at home anyways, but we've fallen into a bit of a rut lately doing the same types of meals every week. Working on this series not only gave us something new to try, but has helped us think outside of our normal meal patterns, which is good for all of us. 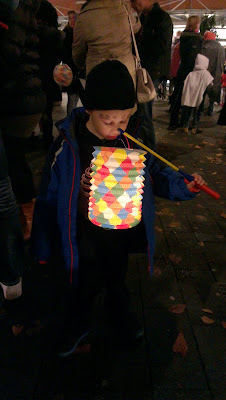 Over the weekend, Little Man joined a Halloween lampion (lantern) parade at our local winkelcentrum (shopping plaza). 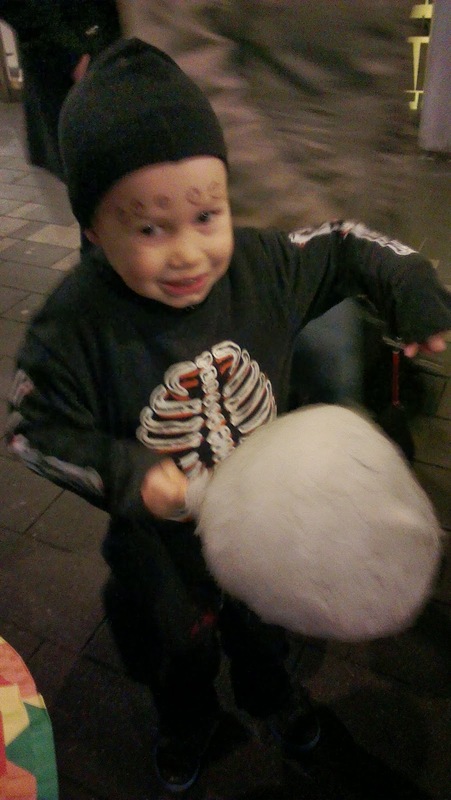 Since Halloween isn't really a thing here in the Netherlands, no one cares that it happened 2 days after Halloween or that half of the kids in the parade weren't in costume. Little Man went as a spider and got to sample suikerspin (cotton candy) for the first time (happily for us, he didn't really like the suikerspin). Still processing the impression of the first bite. The big event coming this week is the Little Man's birthday. He would like to remind everyone that it's just 3 more bedtimes until he turns four. We'll celebrate and home and with a few friends, and we'll celebrate at school with his peuterspeelzaal on his last day in class. And since he will become officially a kleuter (a child between 4 and 6 years old) he will start full time at "big school" next Monday. Not only is he excited about his birthday, he's ready to be in school full time. He really loves his new class and you can tell he's disappointed that he has to keep going to the peuterspeelzaal. He's experienced being a "big kid" and he doesn't want to go back. For me, the week will involve baking something tasty for the Little Man's birthday. I was hoping to do cupcakes, but after a disastrous attempt at making muffins in the devil appliance convection oven, I think I'd better stick with a full sized cake. For some unknown reason, the smaller items take as long as a full sized item, and I just don't have the patience for that kind of nonsense. When we're not celebrating, I'm hoping to get more work done on some crocheting projects. I'm currently finishing up a dinosaur for Little Man and I made up my own pattern for a donkey that I'm making for SJ at Chasing the Donkey. I've run into a few snags with the donkey and been readjusting the pattern as I go - but SJ, I promise that it's coming! 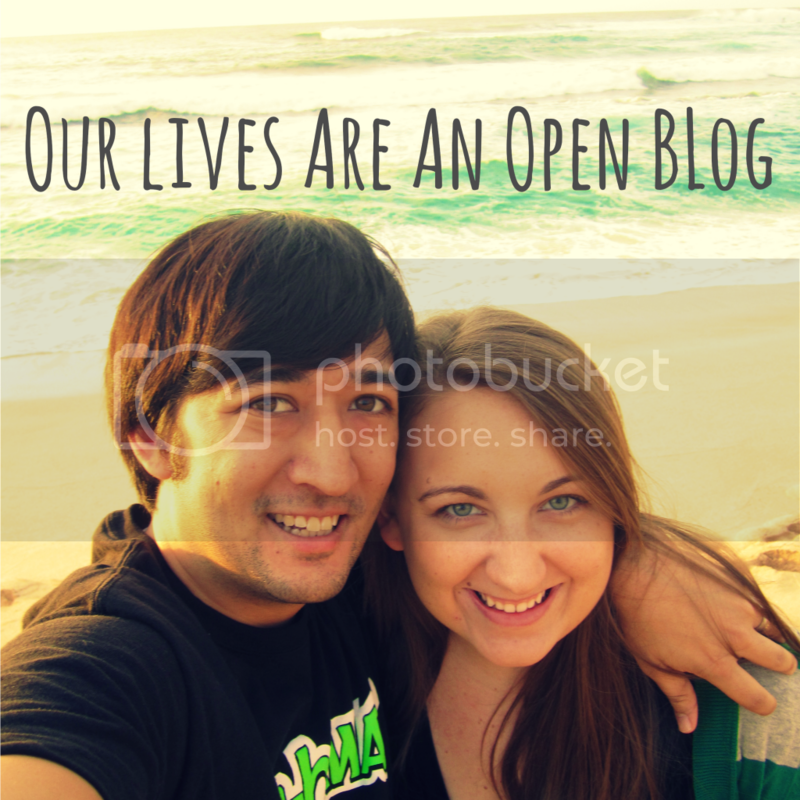 And, of course, there will be pictures here. Here's to your week and getting through your goals! 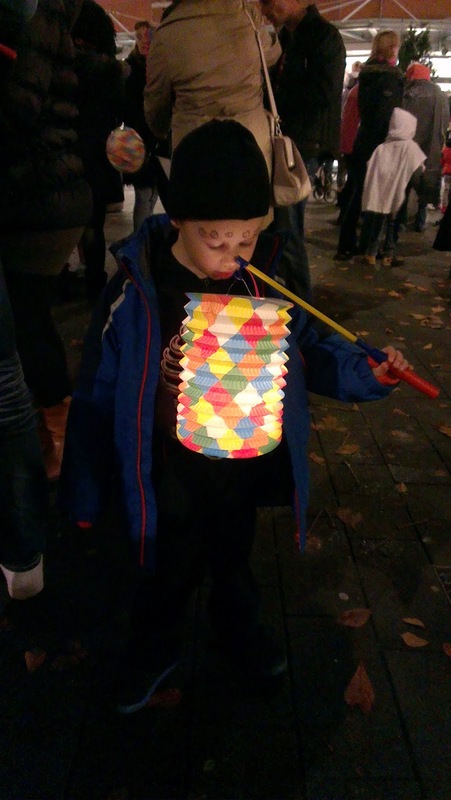 So on Saturday there were tons of parties and I was really annoyed that people were celebrating Halloween late as well but my husband said in Sweden the Saturday after October 31st is a holiday that ties to the church so perhaps it is the same in the Netherlands and that is why the parade was that day. 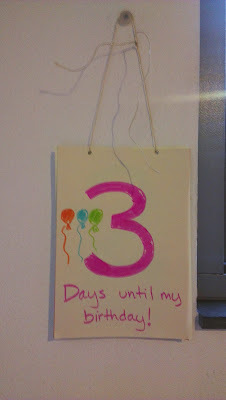 I love that your son is on a countdown to his birthday! He must be quite excited! So looking forward to the recipes you do and the crochet projects! Have a productive week - and Happy Birthday to your little guy! It could be the same - I'm not sure. Sometimes it's hard to tell what church holidays are considered significant (Pentecost warrants a long weekend, which surprised me), and the church holidays' significance also depends if you live in a more Protestant or more Catholic region. Now that you mention it though, I think I'll look into it. Thanks! Dutch foods aren't necessarily well-known, which is why I wanted to do it. I know that on Swedish calendars the days that are celebrated are in red but yeah if my husband was not Swedish I would find it all so confusing! Ok- several things here. First, I am so glad that LM actually got to wear the awesome spider costume!!! Second, I am anxiously waiting for your food series. I need all the help I can get. 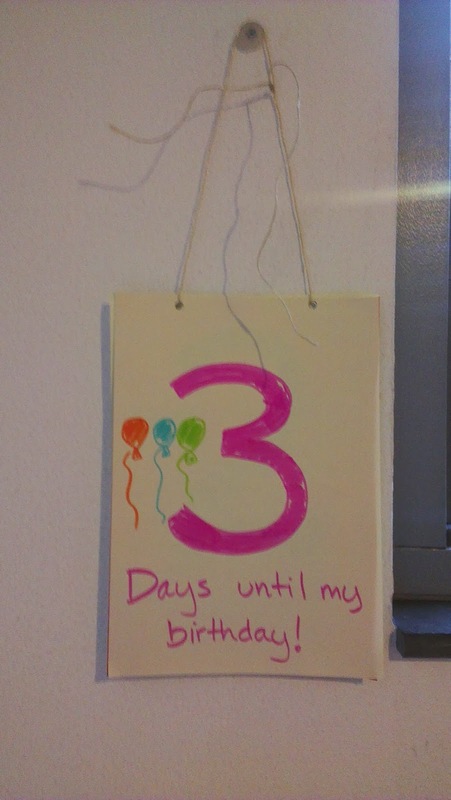 Third, we are SO excited for the party. However, my children are very very unhappy with my gift choice. Here's hoping at least YOU appreciate it! and Lastly- a donkey for SJ? That's pretty perfect in my opinion! Ha - so, thanks on all four points! And just like a real donkey, this little stuffed one is a bit stubborn. It's certainly putting me in my place, haha! YAY! 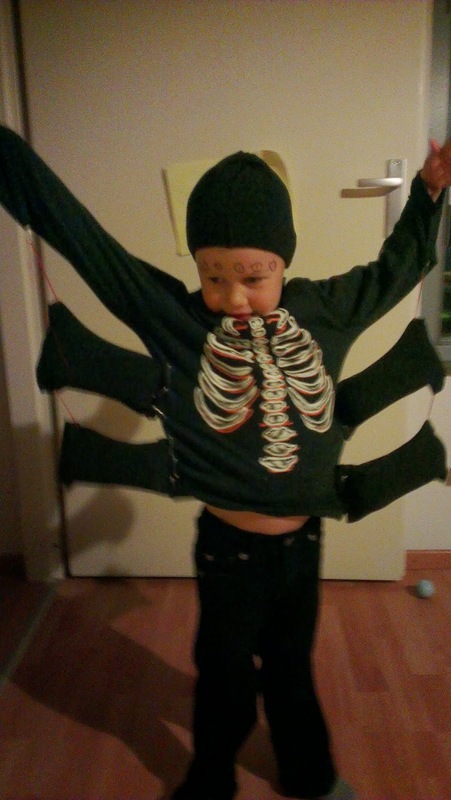 How awesome is that costume??? What a clever Mama. And a donkey for meeeeeeee? hhhhhheeee haaaawwww he will be a VIP in this house. Taken on all of the trips and ride up front with me.